Alice & Matt, two of our vets, have undergone further poultry training and regularly see gamebirds & poultry on their visits and at the practice. We are associated with a dedicated poultry practice in Exeter St Davids. They supply us with poultry specific products and provide us with referral veterinary support for the more unusual or challenging cases we occasionally come across. We can design bespoke parasite control programs to control worms, lice & mites in your flock. 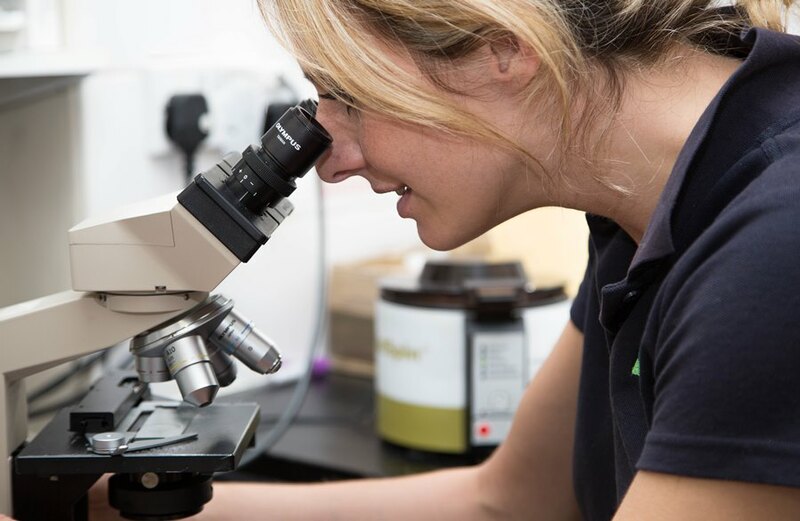 In-house faecal testing for worm eggs and coccidiosis, as well as microscopic identification of lice & mites help us to diagnose parasitic problems within your flock. Sadly it is sometimes inevitable that during disease outbreaks some birds will be lost. Post-mortems in birds are however a very effective way of diagnosing or confirming disease, allowing correct treatment or vaccination to be instigated for the remainder of the group & thereby preventing further losses. We regularly perform avian post-mortems at our surgery in Blandford and can process samples in-house or via external laboratories for quick results. We can help design flock-specific vaccination programs to help control or prevent specific diseases in your flock. This is possible even with small numbers of birds. Please speak to either Alice or Matt at the practice for more information on poultry vaccines. Correct perching, ventilation, and stocking rates are essential to bird health. We can advise on all aspects of poutry and gamebird housing. We stock a wide range of chicken-specific medicines, supplements and products. Anything we don’t have can normally be ordered in within a few days. We offer a range of diagnostic tests including blood sampling, swabs, radiography and faecal testing to screen for disease in flocks or to diagnose problems in the individual bird. We can work with you to design a flock specific health plan covering all aspects of husbandry, disease prevention and parasite control. We recommend a flock visit to get the most from this service.